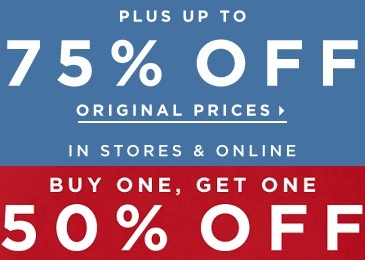 Bogo sale is waiting just for you at LOFT locations in the U.S. or at loft online shopping. Buy one, get one with 50% discount. Offer is valid on sweaters and tops. You can also enjoy up to 75% off original prices. Valid on selected styles. Some exclusions may apply. Official source of the information is LOFT. Offer is time limited, so hurry up. For more details visit your nearest LOFT location in the U.S. Find the location through our store locator.